It's almost here. In Chico, people just can't stop talking about it. It's Super Bowl XLV and hometown boy Aaron Rodgers is starting quarterback! His parents were on the news last night, he has his own webpage courtesy of the local newspaper, and a Packer fever is setting in all over the valley. I'm sure a similar epidemic has been sweeping across Wisconsin for weeks. I recently photographed a food item for a store email and wanted to share it with all of you. 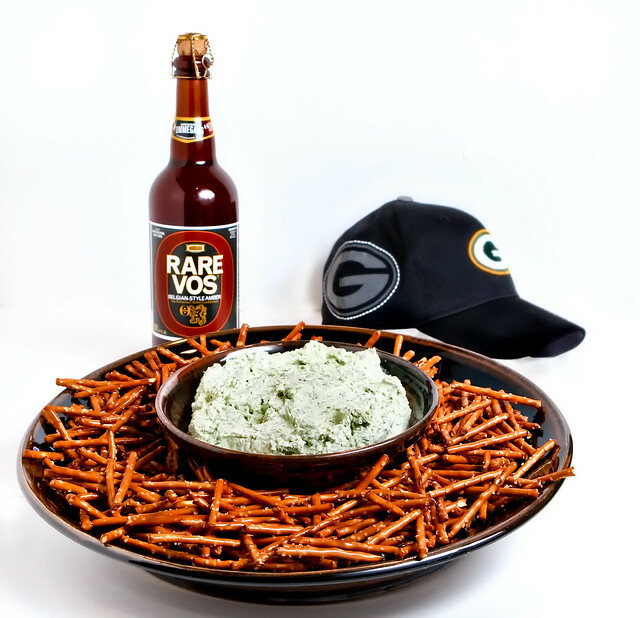 It's only once in a great while that Zucchini & Vine makes its fromage de maison, a house cheese that's perfect with beer, pretzels, and football. While I can't give away the recipe, a bite of house cheese--which uses Sierra Nevada Organic Cream Cheese as its base--begins with a blast of garlic that mellows in to a delightful blend of dried and fresh herbs and a pop of pepper at the end. I'm salivating thinking about my next bite.